Is that a Masada I can see in Stockholm? Introducing another group of scholars interested in exploring new (and sad…very sad!) 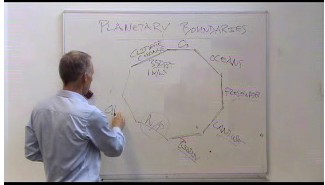 depths of environmental science: the Stockholm Resilience Center (SRC), and its scientists-authors of famous research and policy framework “Planetary Boundaries” (see also J Rockström et al., “Planetary Boundaries: Exploring the safe operating space for humanity”, Ecology and Society, In Press 14th September 2009). I have several criticisms about the above (I am not alone). What “stewardship” can we provide to the planet if we consider our existence as under siege? Do Planetary Boundaries exist, and even if they do, what can they scientifically tell us about the real world? And even if they are really, mostly useful as a policy tool, is it prudent to take any decision based on them? The “joyous and optimistic” (not my words) goal of SRC appears to be computing the limits of essential resources (essential to us, that is), in order to help better manage those same resources better. Crucially though, those “limits” are considered “boundaries” in the sense of “thresholds”: once a certain threshold is passed, SRC say, the tipping point (“non-linear changes in the functioning of the Earth System”) starts looming. That is, passing the limits means risking “unacceptable, potentially disastrous” changes, jumping into the dark, most likely straight into a ravine. Just like that graph, every diagram invariably goes downwards. For some reason, it is taken as given that every change wll mean thing are going to worsen. What does that resemble, if not of a fortress on top of a mountain, as beyond the boundary everything goes sharply downhill? And there it is: Masada. What good could ever come out of this “siege mentality” in managing the planet (no less! ), I simply cannot understand. 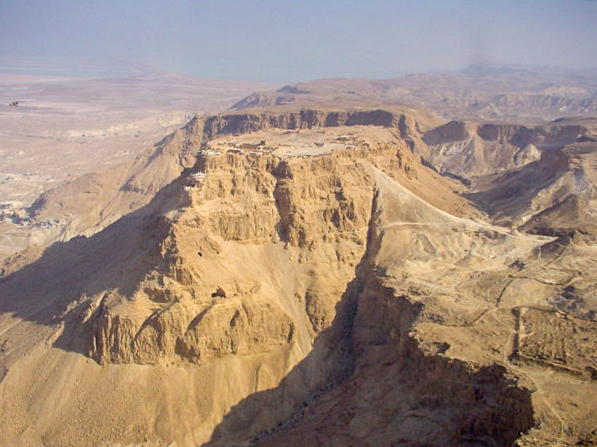 For the record, in 73AD all 960 inhabitants of Masada “committed suicide rather than face certain capture“. – 2- DO PLANETARY BOUNDARIES EXIST? According to SRC, no tipping point has been reached so far. That is, simply none of the expected “non-linear” changes of state has happened. What are we talking about, one wonders? Every “unacceptable environmental change” that would “drive the Earth System[…] abruptly into states deleterious or even catastrophic to human well-being” is firmly in the future. The PB framework is only loosely connected to reality. In fact, too many of the foundations of the PB framework are taken for granted rather than demonstrated. Are we really in the “Anthropocene”? Only if we believe so. Can we seriously link Arctic ice extent and the increase of atmospheric CO2? (more about this later). Etc etc. And in any case…do planetary thresholds/boundaries exist? It is true that the simplest spinning top can show what a tipping poin is. On the other hand, is there anything about the environment or any of its aspects that suggests they behave like spinning tops? That is, do we have any example where a minor perturbation has resulted in a major shift from one relatively stable status to another relatively stable status? Say, has the temporal evolution of any environmental indicator about the now-mostly-dry Aral Sea followed a similar path to the graphs used by SRC? Limnologist Marten Scheffer has written a whole book on the topic of tipping points in environmental and social contexts, and IMNSHO we are none the wiser, in the realm of the environment including climate. Mr Scheffer for example has “discovered” that there are more than just two stable states a lake environment can switch to, thereby invalidating the Rockström “Masada” diagrams. 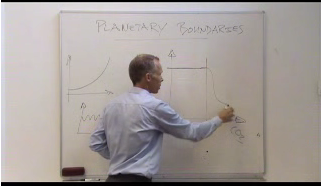 – 3 – WHAT COULD PLANETARY BOUNDARIES TELL US ABOUT THE REAL WORLD? SRC admit that they can do quantifiable work in only seven out of nine PBs. In other words, discussions of PBs for “Biodiversity loss” and “Chemical pollution” are on the threshold of being science-free. Among the remaining seven PBs, SRC state that only in three cases they have solid data to estimate the “threshold” has been “transgressed”. In other words, even if thresholds exist, there is little indication we are near danger for “Atmospheric aerosol loading”, “Biogeochemical flows”, “Global freshwater use” and “Land system change”. Among the remaining three “transgressed” PBs, regarding “Ocean acidification” and “Stratospheric ozone depletion” the tipping point “into states deleterious or even catastrophic to human well-being” is still far away in the future. Hopefully the esteemed Johannessen will be magnanimous with whomever will state that his findings are contrary to other research, e.g. done by NASA. Who knows, perhaps there is a case for awaiting more analysis and confirmatory studies? It is not one swallow that bringeth in summer. – CONCLUSIONS – WHAT ARE PBs GOOD FOR? Based on unremittingly pessimistic and undemonstrated assumptions, observation-free, with admittedly shaky foundations, and the one promising application based on a single article… would it be wise to follow SRC and base public policy on the concept of “Planetary Boundaries”? Let’s hear it from some experts then (a collection of comments is in Nature’s “Climate Feedback” blog). Schlesinger’s insight is important. The concept of “Planetary Boundaries” is written in the language policymakers will understand. On the other hand, under PB scientists and anybody caring about the environment become second-class players, in this paradoxical locking up of the study and preservation of our planet to the service of those who make “policy“. That’s the way of the worst kind of management techniques, geared up to handle not what should be managed, rather just whatever happens to be measurable. A quick look at the proverbial efficiency and low costs of the British National Health System (NHS) will be enough to understand what can this all end up as. Obviously, the PB concept is not unadulterated rubbish to be thrown away. Just as obviously, it is not (even remotely) the ultimate solution to our problems. My wild guess is that PB is valid and useful in two out of seven of the listed “boundaries”, but the thresholds need to be understood in terms of the range of possible scenarios (some good, some bad) that the reaching of the tipping point may bring. (1) Why were you scared silly of the future? (2) On what logical basis did you take any possible change as something necessarily negative? (3) Why did you fill your “scientific” thoughts of “tipping points” before having ever experienced even one of them? 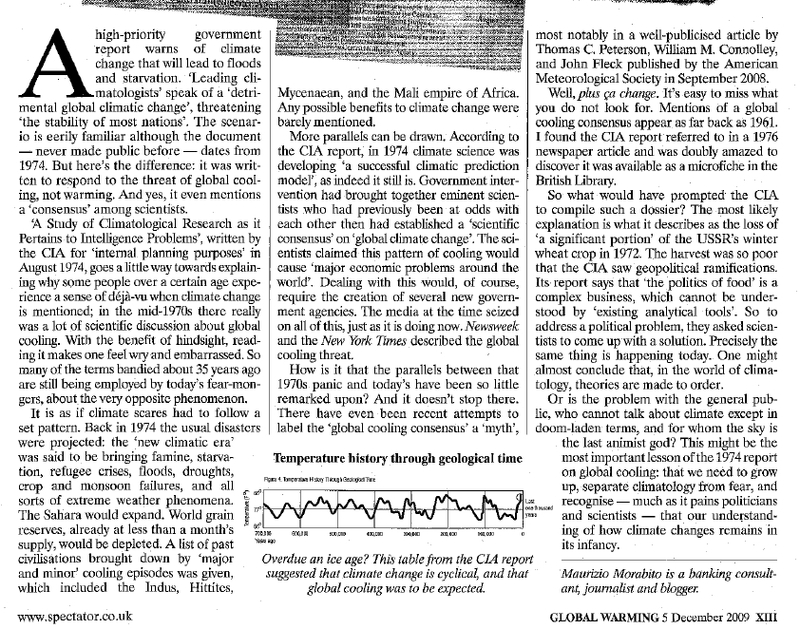 Climate Forecasts: Intrinsically All For Nought? It is commonly accepted that all it will take for us to be able to predict future climate, is faster computers with gigantic computing power, in a progression analogous to meteorology’s. I find that unlikely. And that’s why climate forecasting is likely to go nowhere, just like…alchemy. Not due to anybody’s fault: rather, because it is intrinsically impossible for it to do otherwise. Climatology is the study of the long term behavior of something that is stable, and predictable, but only until it goes through a state change, perhaps all of a sudden. Imagine what if anything would nuclear physicists be able to study if there were not even sure if today’s proton-proton accelerators would or would not transform themselves into proton-neutron accelerators, in ten, thirty or a hundred years, thereby completely changing all results and all predictions? Add to that the climatological possibility, or shall I say the absolute certainty, that in any meaningful (i.e. multi-decadal) period of study, there will be external, uncontrollable, unpredictable inputs such as volcano eruptions and changes in the Sun…as if the energy available to power the LHC would vary at random. In other words, a minor change in a climate detail is enough to modify the end result altogether. How do you study in a scientifically appropriate manner a system whose simplest scientifically appropriate representation is…itself? You don’t. You cannot even follow the usual statistical route, because in the long term every possible solution is equally probable. And if you don’t work on the long term, on the decadal or secular scale, then you are not doing climatology. The problem of climate forecasting is therefore unassailable, just as it is not possible to predict the stock market, another system that is heavily influenced by external factors. Think of the money thrown for nothing in the financial forecasting route. Then, think of the results. Of course, the above does not mean that we can not do any climatological study, for example to determine which crops appear to be more suitable for a certain territory…just as one can play the stock market using reasonably objective parameters and computer models without falling necessarily into financial ruin. But climate forecasting might be the one and only science where “blacks swans”, the events that throw all predictions up in the air, are ironically the one thing that can be predicted. ADDENDUM 00:27GMT June 5: Isn’t it beautiful to write something on your own in the middle of the night, and then to discover that even Roger Pielke Sr. has just been dealing with a very similar topic? ADDENDUM #2: There is one point that needs to be clarified in the above. 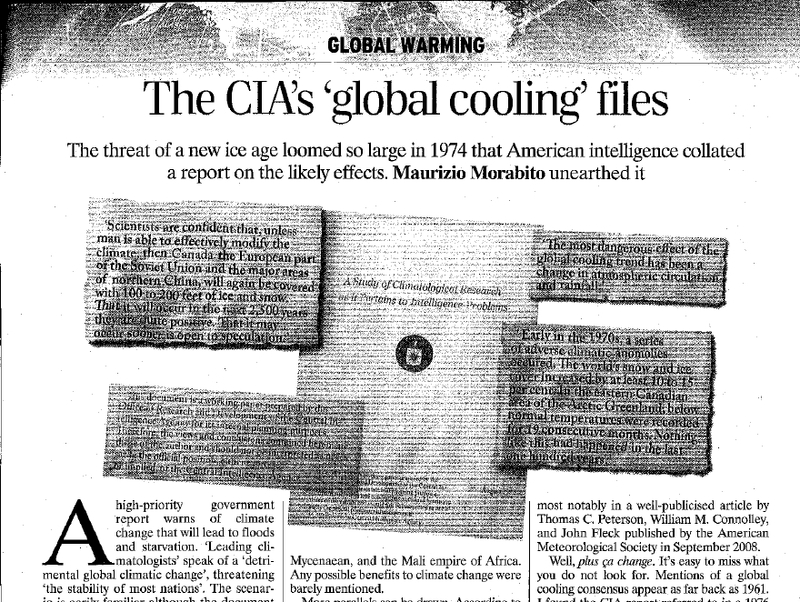 The climate forecasts I am talking about are multi-decadal. The stuff just criticised by Pielke Sr. Those, I am educately guessing, are impossible, even if we knew all the physics and we had vast amounts of computing power. The simplest way to compute the climate of 20-30 or more years in the future, is to build a system at least as complex as the climate own’s . In other words, the Earth’s climate is its own simplest multidecadal computer. Since “climate” is usually taken as a multi-decadal concept, then perhaps we can move the forecast of what next season will bring, into meteorology. Of course, before anybody says anything, no, I do not think meteorology is “inferior” to climatology.